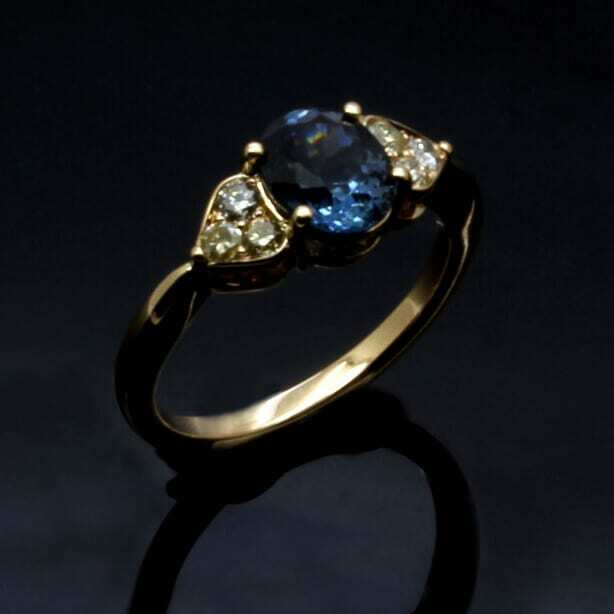 This glorious bespoke engagement ring features a unique, commissioned design created by Julian Stephens Goldsmiths. 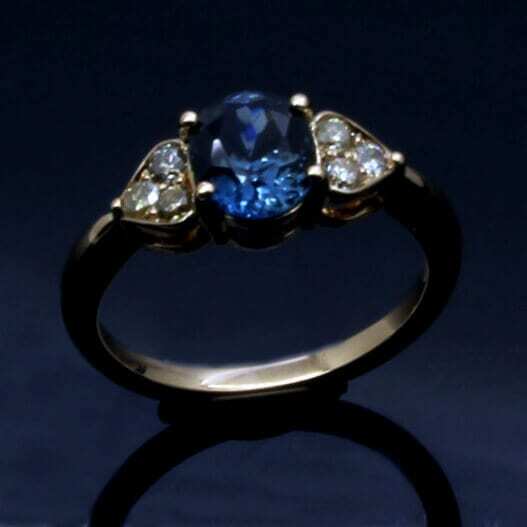 Using a glorious rich Blue Sapphire gemstone to create a dazzling and colourful centrepiece this very special contemporary engagement ring is finished with twin shoulders featuring a trio of pave set diamonds in a beautiful leaf shape to create an elegant and dramatic sparkle. This beautiful Sapphire and Diamond custom made engagement band is handset in solid 18ct Rose Gold by our master Goldsmith Julian Stephens, resulting in this beautiful and modern engagement ring design which radiates a sense of timeless elegance.